Via Veloce by Wille R. www.veloce.se Internet since November 1995 and still here. First chart shows data for 105 series. GTA versions and and 101/750 , see second chart At the bottom of the page you will find a drawing of the different jets. 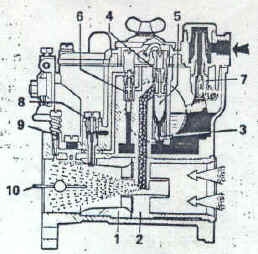 Note: The data for Dellorto is the same as for the Weber, 1750 engine except for pump jet, which should be 33 for the 2000 version instead of 40 for the 1750 version. If you copy the sites, please rmember where you got it, thank you. Note. 40DCOE 72, 73, 76, 77, 80, 81 have different internal circuits. 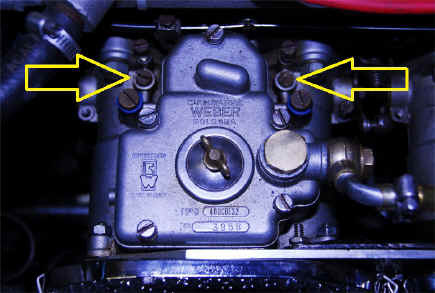 Jettings in these carbs cannot be applied to previous 40DCOE type carburetors.